Estate planning is a financial process that can protect you and your family, and is a very important component of your overall financial planning. April is National Financial Literacy Month to put your estate planning house in order. If you don’t have an up-to-date estate plan and you happen to get hurt or sick and cannot manage your financial affairs, the courts will have to appoint someone to manage them for you. The person they appoint might not be the one you would want to perform those tasks. Without an estate plan when you pass away, your affairs will be settled by default through a complex legal system called “probate.” The handling of your financial affairs can turn into a costly and frustrating ordeal for your family and heirs. Even if a simple will is all you require, an estate plan is an essential part of your financial planning. Everybody will need it someday. The time to address or update your estate plan is now. Check with your financial advisors for updated information. These materials are provided as a public service by The NAEPC Education Foundation for “free-use” on websites, newspapers, newsletters, magazines, and other media broadcasts during the months of April and October as it relates to National Financial Literacy Month and National Estate Planning Awareness Week. For additional information or materials contact us at The NAEPC Education Foundation. 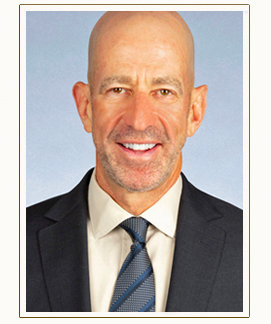 To assist with your estate planning, visit our website at www.elderlawnewyork.com. 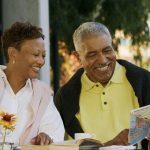 Estate planning is a crucial life management and wealth preservation activity for adults of all ages and all income levels. Across the United States, October is National Estate Planning Awareness Month, an educational campaign intended to focus attention on the importance of having a plan to care for family members and manage accumulated wealth in old age and following death. Just 4 in 10 adults in the United States have a will or trust. Estate planning is crucial for people of any age or income status. Parents with young children need to have a plan in place — at a minimum, a designated guardian and instructions conveyed in a trust — in the event of an unexpected death or disability. For everyone else, estate plans should be created to address tax avoidance issues, property management, asset protection, wealth distribution and health care decisions in the event of cognitive decline or disability prior to death. Without a will or trust in place, important decisions about the care of young children and distribution of property at death will be made by a judge, often following a contested and expensive legal proceeding. Define goals. Decide how any family responsibilities and property will be managed in the event of disability or death. Gather and organize data. Take inventory of all assets and title held to them. Identify any beneficiaries. Implement an estate plan. Develop a strategy — ideally with the assistance of a financial or estate planning professional — for managing and distributing the estate. Consider drafting the following documents: designation of guardian, will, trust, power of attorney and health care directives. Monitor and make changes if necessary. Life circumstances change, so do tax and probate laws. Mark the calendar to review estate plans annually. For a detailed explanation of the measures necessary to create a sound estate plan, consult the comprehensive estate planning resources available at the Littman Krooks website. National Estate Planning Awareness Month is a nationwide public education campaign first launched in 2008. With sound estate planning, individuals and their families can maintain financial security during their lifetimes and ensure the efficient, intended transfer of assets following death. 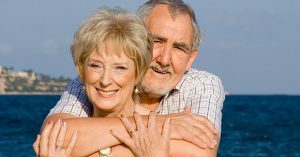 Learn more about elder law, estate planning and special needs planning at littmankrooks.com, elderlawnewyork.com & specialneedsnewyork.com. Have questions about this article? Contact us. Last month New York City experienced it’s first heat-related death of 2018 when a 71-year-old man died of hypothermia while sitting in a parked car in Queens. In Woodland, Calif., a 63-year-old postal worker died in her delivery truck on an afternoon when the outside temperature reached 115 degrees. And in Tipton, Pa., a 64-year-old woman succumbed to heat stroke after gardening for several hours outside her home. If current weather trends continue, 2018 will be the fourth hottest year on record, according to the National Oceanic and Atmospheric Administration. Warm temperatures in the summer months create health risks for everyone, but particularly for seniors. The U.S. National Institute on Aging recently warned that older individuals are at “significant increased risk of heat-related illnesses” during the summer months. Here are several measures seniors can take to guard their health during the summer heat. Schedule outside activities such as gardening or exercise during the cooler times of the day. Seek out cool locales. When outside, stay in the shade. Seniors whose homes lack air conditioning should head for air-conditioned spaces such as shopping malls, libraries, movie theaters or community centers. Consider a cool shower or bath for temporary relief from the heat. Drink plenty of liquids but avoid caffeine and alcohol, both of which are diuretics that can cause dehydration. Wear loose fitting, lightweight clothing. When outside, wear a hat or use an umbrella to ward off the sun. Pay attention to the body’s warning signs. Dizziness, nausea, headache, or breathing problems are reasons to immediately seek medical attention. Relatives of older individuals should be sure to check on them regularly during the warm summer months. Normally benign errors in judgment such as forgetting to turn on an air conditioner or staying too long in the afternoon sun could have catastrophic consequences when the temperatures are high. How much water should people drink to protect against dehydration in the summer? There is no universally accepted answer to that question. However, the Mayo Clinic recommends roughly one gallon of water daily during normal conditions for an average male, slightly less for females. New York City’s senior population is growing quickly. There are now more than 1.4 million New Yorkers over the age of 60, and that number is expected to rise to more than 1.8 million by 2030. At that time, there will be more older adults than school children in New York City, and seniors will account for one out of every five residents. There is a vast array of community resources available to help seniors with their daily needs, but they can be difficult to locate. New York City’s Department of Aging has an online tool that can help. The Department of Aging’s Find Help tool is designed to help seniors and their family members easily find the resources they need in their area. 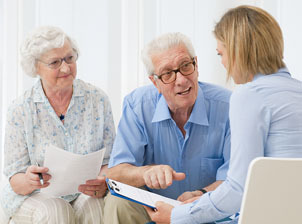 You can search by zip code or borough, and search for the type of services you are looking for, which may include abuse prevention, caregiver resources, case management, health promotion services, home care, home delivered meals, legal services, naturally occurring retirement communities, senior centers, social adult day care and day services, transportation and geriatric mental health. Searching by location and type of services gives you a list of providers, and by clicking on an individual result, you will be given detailed information about the service provider, including the address, phone number, hours of operation and services offered. Seniors face a crisis in transportation. Older individuals may have physical or mental impairments that make driving difficult, and public transportation may be unavailable or too difficult to navigate. Subsidized para-transit is available in many communities, but the process of scheduling a ride can be complicated. A lack of transportation can be a serious health hazard, as it can cause seniors to miss medical appointments and prevent them from engaging with a social support network, which helps maintain mental health. Today there are new transportation options such as the ride-hailing services Uber and Lyft, which can be faster and less expensive than taxis. These options have been embraced quickly by much of the population, but seniors may be less familiar with them. A smartphone is essential to using the new services, and older individuals may not have smartphones or may not be as comfortable using them. Among Americans over the age of 65, only 42 percent own a smartphone, while 77 percent of the general population owns one. In addition, someone with a physical disability may require a vehicle that can accommodate an assistive device such as a walker or wheelchair, and the new services may not be set up to handle such requests. Companies and governments recognize that there is a gap in transportation services for seniors, and they are making improvements. Lyft built a new platform called Concierge that allows operators to request rides for others. On the Jitterbug phone marketed to older people, users can press zero to have an operator order a Lyft. A startup called GoGoGrandparent offers a hotline that seniors can call to hail a ride. Uber launched an UberAssist option for riders who need help getting in and out of vehicles. Washington, D.C. launched a service called Abilities-Ride, which subsidizes taxi rides for people with disabilities. The Massachusetts Bay Transportation Authority in Boston subsidizes Uber and Lyft rides for people who do not need the full services of para-transit. The AARP Foundation has begun a pilot program with Lyft and other partners to give free rides to people who may be in danger of missing medical appointments. With the rapid development of technology and the large market that seniors represent, transportation options are likely to expand. If you were a European warrior or religious pilgrim on the way to Jerusalem during the Middle Ages, chances are you lodged at a “hospes house” on the arduous journey. The holy orders of knights such as the Hospitallers and Templars ran these travel lodges named after the Latin word that means both “guest” and “host.” Over time, hospes houses expanded to offer care for the sick and dying. Derived from “hospes,” our modern-day word “hospice” is known as a place for the dying or the practice of end-of-life care. How Does Hospice and Palliative Care Work? Hospice providers alone care for more than 1.6 million Americans and their families annually. While hospice does involve caring for the terminally ill, hospice care is more than seeing someone through their final days. An integrated team of healthcare professionals and trained volunteers work together to manage pain, control symptoms, and bolster emotional and spiritual needs. Hospice teams ensure patients and their loved ones find support, respect and dignity along the difficult path of a life-limiting illness. Interdisciplinary palliative care teams are typically comprised of doctors, nurses, social workers, chaplains, and physical and occupational therapists who assist with the pain of cancer, kidney failure, chronic obstructive pulmonary disease, congestive heart failure and other chronic diseases or disorders. Hospice serves those with a terminal diagnosis in their homes or at freestanding hospice centers, nursing homes, in-patient care facilities and hospitals. Hospice teams primarily serve in a patient’s home because most end-of-life individuals prefer to pass in their own home surroundings. Hospice care is available to any patient of any age, race, religion or illness. The National Hospice and Palliative Care Organization notes that hospice services “focus on caring, not curing” and “hospice is not ‘giving up,’ nor is it a form of euthanasia or physician-assisted suicide.” Instead, hospice care helps patients and their families embrace life as fully as possible. In some cases, hospice patients rally to make a full recovery. Who Qualifies for Hospice and Palliative Care? Most Medicaid, Medicare and private health insurance plans cover palliative and hospice services. Hospice care covered by Medicare requires that a person receive a prognosis of living six months or less, but there is not a six-month limit on hospice care services. A patient with a doctor’s certification of terminal illness may receive hospice support for as long as necessary. 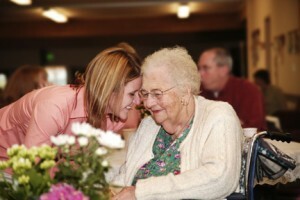 For more information about person-centered care or cognitive support, visit the local Right at Home office at www.westchesterseniorcare.com. Millennials and Estate Planning: You are Not Too Young for That! For many millennials, estate planning is not a topic that has even crossed their mind, let alone been made a priority. With more immediate concerns such as graduation from school, the start of a career, perhaps looking forward to buying a home and starting a family, the thought of planning for death or incapacity is a non-starter for many. Although people often think of estate planning as a task for later in life, there are aspects of estate planning that prove beneficial regardless of age or perceived net worth. Estate planning can include both planning for during life (“Advance Directives”) and for after death (“Testamentary Planning”), both of which are important for any person. Advance directives, such as a Health Care Proxy and Power of Attorney will benefit any adult, as accidents and emergencies cannot be predicted, and do not discriminate by age. By having a Health Care Proxy in place, a person can dictate who will make decisions on their behalf in the event they can no longer make them on their own. 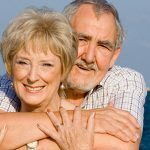 In addition, a thoughtfully drafted living will can assist the appointed agent in making the choices that a person would want made, including what kind of end-of-life care they would want to be given or withheld. Another document that becomes tremendously important in the event of incapacity is a durable power of attorney, which allows the appointed agent to manage the principal’s finances. As for Testamentary Planning documents, although many people believe that they do not have sufficient assets to warrant the creation of a Last Will and Testament of Trust, there are many aspects of such documents that are important for people of all socioeconomic situations. For young adults who are not yet married, consideration should be made for aging parents who may be on government benefits like Medicaid now or in the future. Without proper planning any amount of money received as the beneficiary of an estate can jeopardize an aging parent’s government benefits. Additionally, as greater numbers of millennials begin starting their own families, a Will or Trust is essential, not only to ensure that assets are distributed according to their wishes at death, but also to nominate a guardian for your minor children in case of your death. Even at the exciting a fast pace beginning of life, it is never too early to make plan for the unimaginable and for the benefit of your loved ones.